We collect personal information from you when you register on our website, subscribe to our email newsletter, contact us or fill out a form with your details. We may also record your IP address and collect aggregated information on the usage of our website using cookies (see cookies section below for more information). The information we request and hold may include: your name, your company name, your address, phone numbers, email addresses, usernames and passwords, browsing activity, and details of your enquiries. We use the information we collect to provide our service, improve our website, and communicate with customers and those who have requested contact from us. We share information with trusted third parties who assist in operating our website or our business and agree to keep your information confidential. We may release your information where it is necessary to comply with any applicable law or an order of a law enforcement body. We may disclose your information to a successor of our business in the event of the sale or merger of our company. Some marketing emails we send have tracking which records information including IP address, email client, location, operating system and number of opens and clicks. We use this information to measure the effectiveness of our emails and to try to improve the content. You may opt out of any email marketing by clicking an ‘unsubscribe’ link on the bottom of any marketing email. We use social buttons to enable users to share content and connect to social networks easily. These buttons include: Twitter, Google +1, Facebook (like), and LinkedIn (share). These buttons use scripts outside of our website and these sites may collect information about you as well as registering an action on a social network. If you are logged into their services, these sites may even register where you are visiting even if you don’t click a button. You should check the respective policies of these social network sites. We use a number of cookies on our site to collect aggregate data about our users and how they interact with our website. This helps us to make improvements to the user experience and to allocate appropriate resources for the website to run smoothly. None of the cookies we use are for advertising purposes. Cookies are small text files stored on your computer by websites to collect information about you. You can change the settings in your browser to reject cookies. To find out more about cookies and how to disable them, please visit www.aboutcookies.org. These are also WordPress cookies, but these are persistent (i.e. do not expire when you close your browser). These are only used if you post a comment and record your information so that you do not have to enter it all next time. We use this to understand how our website is being used so that we can improve the user experience. The data collected is all anonymous and includes the number of times pages are visited, screen resolution, operating system, browser, and details of referring sites or keyword searches. The data also assists us in allocating appropriate server resources for the smooth running of our website. These cookies enable sharing of pages on Facebook. 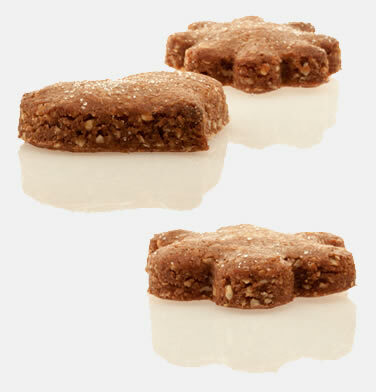 These cookies enable sharing of pages on Twitter and sharing of Twitter content on our website. These cookies are used by Youtube when you load a video embedded on our website.